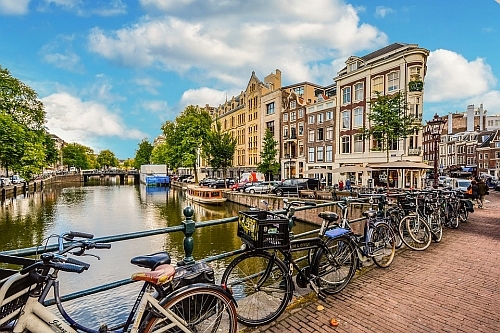 Air Canada and United Airlines have dropped the price of their flights from Seattle to Amsterdam, Netherlands down to between $370 and $489 CAD roundtrip including taxes. 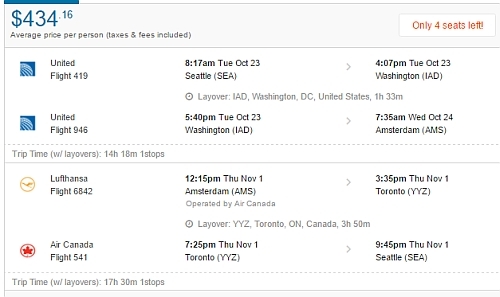 The cheapest flights from Vancouver to Amsterdam in these months are currently going for around $800 CAD roundtrip. There are non-stop flights from Vancouver for $832. - Look for the dates that are around $563 roundtrip. - Look for the dates that are around $450 roundtrip. Flighthub is also showing these flights for around $434 CAD roundtrip. flight deals, seattle, sea, air canada, europe, western europe, amsterdam, ams and netherlands.